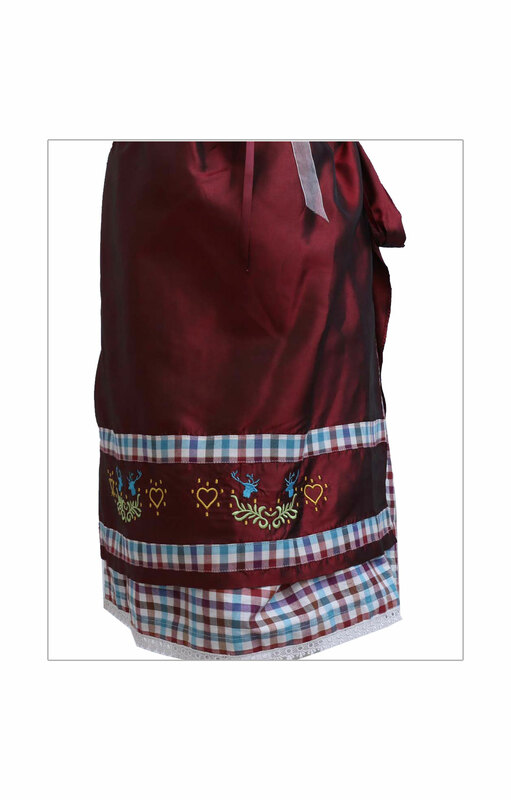 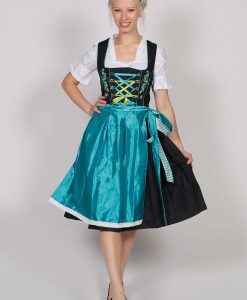 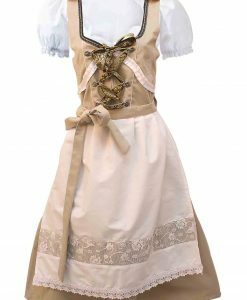 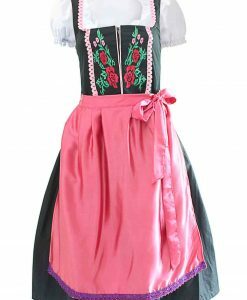 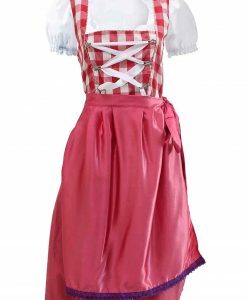 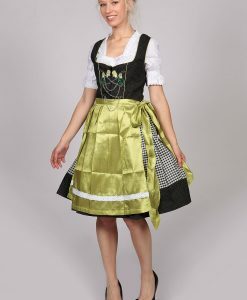 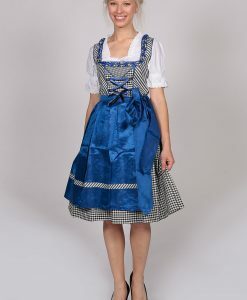 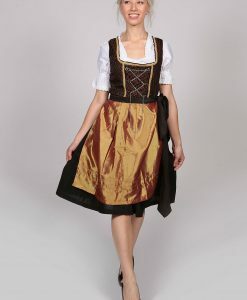 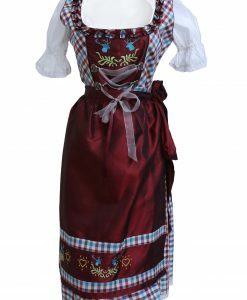 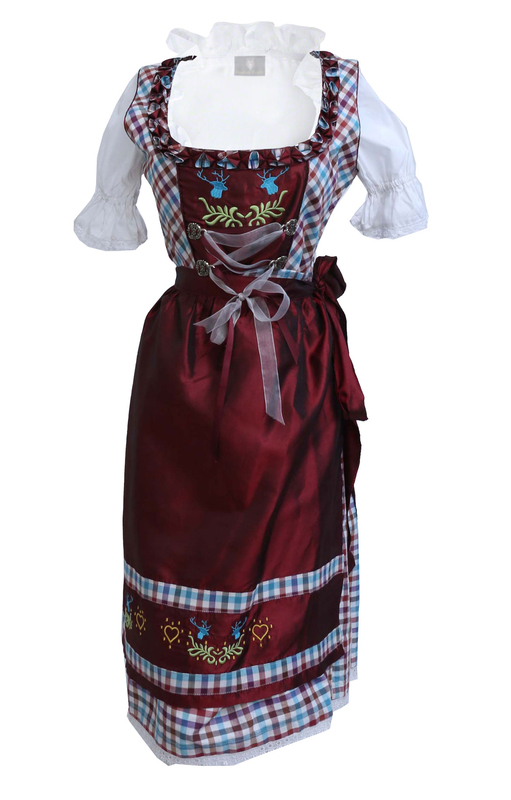 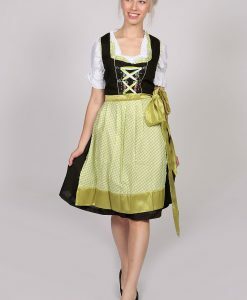 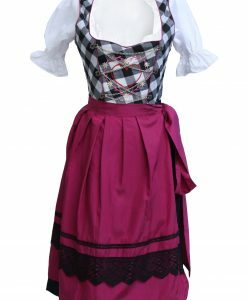 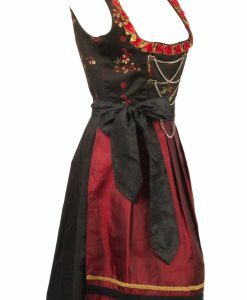 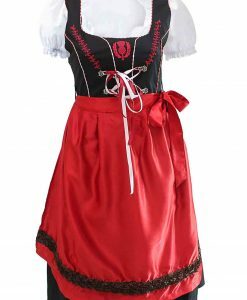 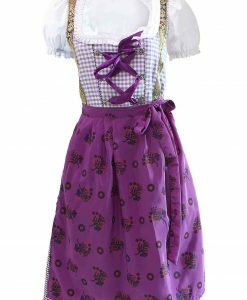 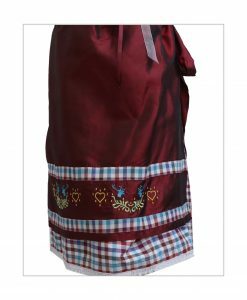 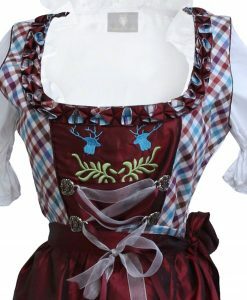 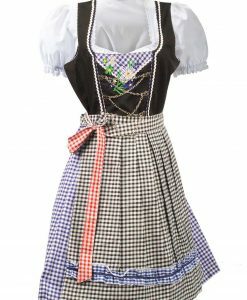 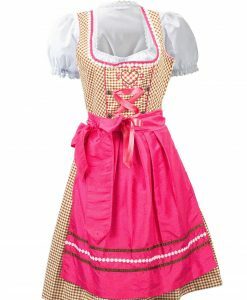 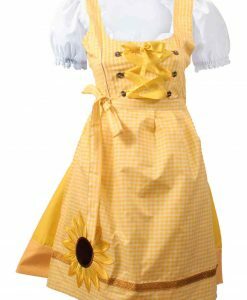 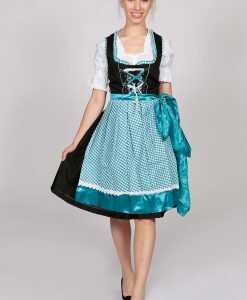 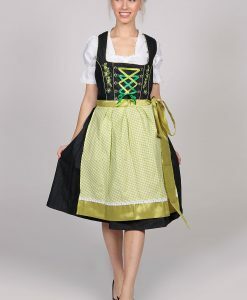 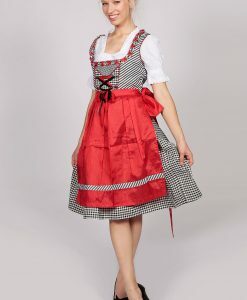 Add this amazing spieth & wensky midi dirndl dress to your Oktoberfest outfit this year! 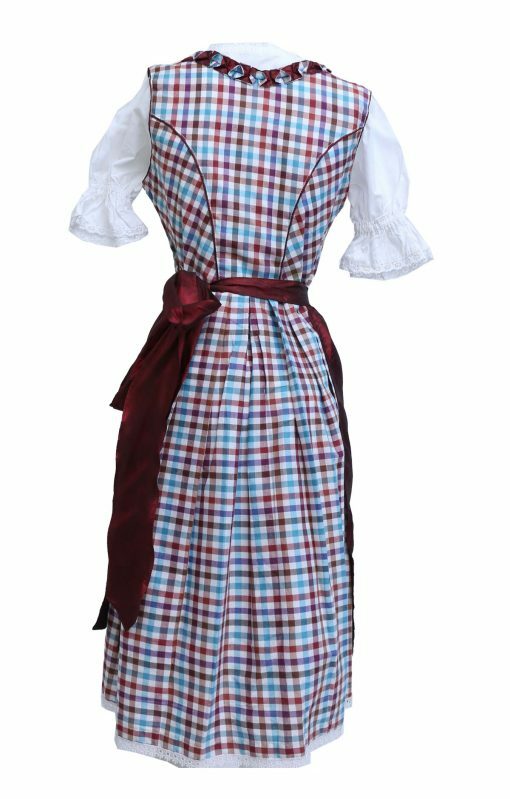 The dress has a stunning blue and maroon checkered pattern all over, including the bodice and skirt. 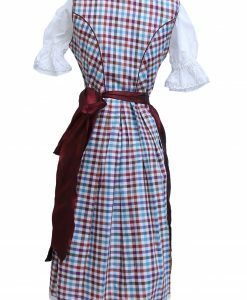 The skirt is cut as an umbrella frock to enhance the dress flare with a white ribbon at the bottom. 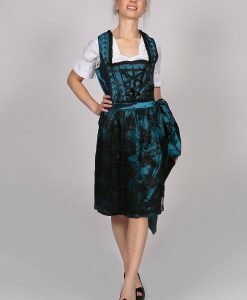 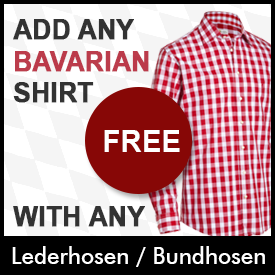 The neckline is deep and round which will compliment any traditional German dirndl blouse perfectly. 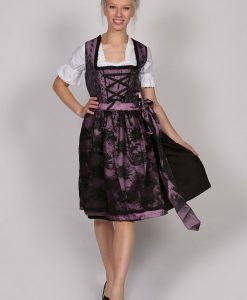 It has a fluffy frilled lace along the neck outline for a vivid look. 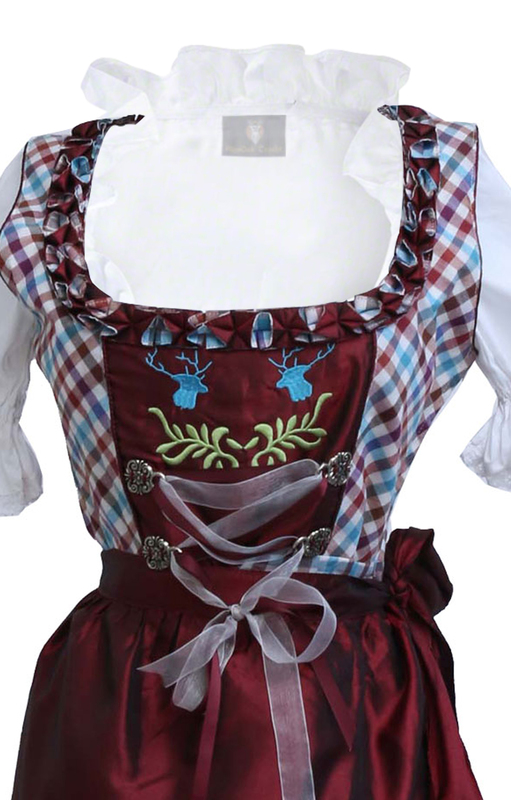 A ribbon is threaded across the chest area that can be tightened according to your size.